The Screenshot of the Beast | Killed in a Smiling Accident. 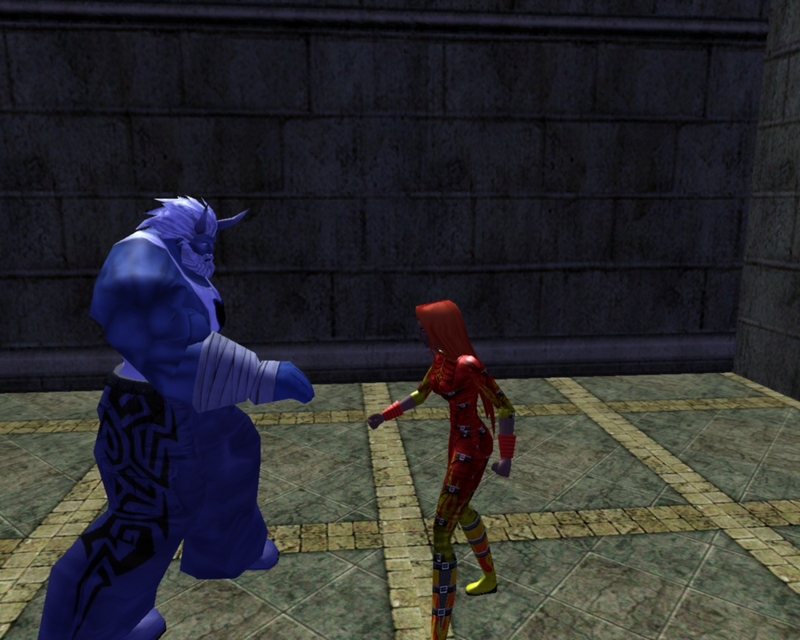 My third or fourth City of Heroes character (right), a fire blaster, who I got to level 50 and still play, and one of Melmoth’s early characters (left), a scrapper of some kind. Speaking of Melmoth, I believe he’ll be along in short order, the combination of the meme and his recent post on nostalgia may have sent him into something of a nostalgic screenshot frenzy. In the meantime, as a joint tagging of other blogs (six is quite enough, to tag six each would just be crazy insane, got no brain), lo do we say unto these people, “go forth and post the sixth screenshot from a folder, yo”: PJH, Welsh Troll, MBP, Aaron at Snark and Fury (opening up the floor to game screenshots, TV screencaps or comic screen… comics), and Van Hemlock and Jon (for textual descriptions of a screenshot each in the next Van Hemlock podcast, that should make pretty compelling listening). This entry was posted in meme, zoso on February 22, 2009 by Zoso.